Great updated Condo!! I will definitely stay there again. It was only a mile walk to Johns pass. My only small complaint would be it only had 5 towels so with a family of four i was doing wash daily. We loved our stay and we will be coming back. Wonderful to hear and we always enjoy having you! See you again soon!! Thank you so much Judie!! 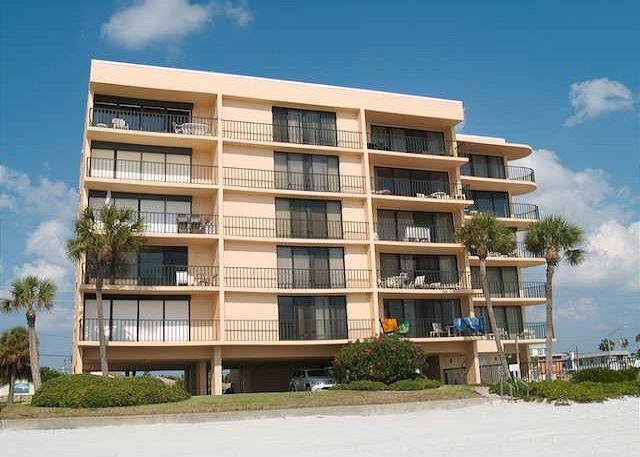 We are so glad you enjoyed your time in this premier condo on Madeira Beach, it really is a great spot!! :-) Thank you for choosing to stay with us and we look forward to having you back for future visits to our area! Excellent condo directly on a quite beach. Clean, well furnished, recently remodeled throughout. We are so glad you enjoyed this premier condo at the Trillium!! :-) Thank you for choosing to stay with us and we hope to see you back for another beach getaway soon!! Great beach location. Very comfortable condo! Would definitely stay there again. My only slight disappointment was parking is very limited . This unit was very roomy, and had just enough furniture for the family. It was NOT congested with a lot of stuff everywhere. The view from the balcony to the ocean was a great view every morning. YES I would recommend this unit to friends plus the other 2 units that I rented out also. This was our second time staying at this property and this specific unit. We love the area and the property is great. This time was even better than the last time we stayed here. The furniture in the living room was new and the master bed mattress was replaced as well. Condo is great. Open floor plan. Great views of the gulf. We will definitely be back again. 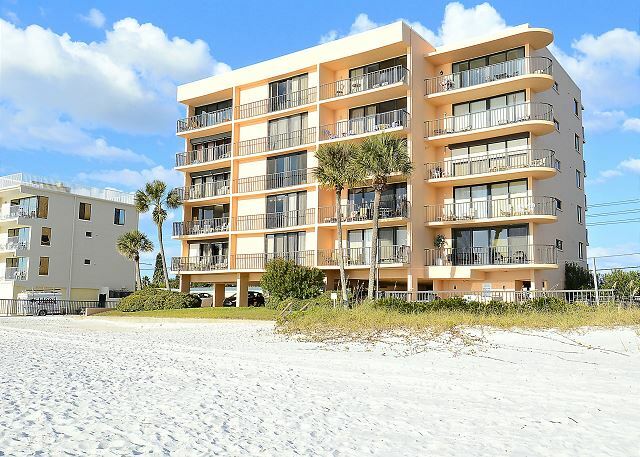 We are so glad you were happy with the new additions in this premier condo on Madeira Beach!!! :-) Thank you so much for being our guest and we will see you for your next visit!! Had a wonderful stay. Accommodations were great. So glad you enjoyed this premier condo at The Trillium!!! :-) Thank you for staying with us and we hope to see you back on Madeira Beach for another visit soon. Other than unseasonable cool weather, we had a great week at Madeira Beach and the Trillium. This was our 2nd visit will probably not be our last. We sure hope it is not the last!!!!! The weather was a bit "iffy" this season at times but come back next season and it will be perfect!!!! ;-) Thank you for choosing to stay with us and we hope to have you back again soon. Trillium 2A is a lovely condo right on the beach. It is beautifully appointed, clean and comfortable. The beach is steps away, as is the pool. You can walk to stores, restaurants and ice cream, and it’s just a mile from historic John’s Pass. We are so glad you enjoyed this premier condo in our program along with the location of The Trillium, it all really is a perfect combo!!! :-) Thank you for staying with us and we hope to see you back for another vacation! Wonderful! Great place to stay all around. Location could not be better and view is excellent! Staff is always helpful. Awesome to hear, thank you for this!! :-) We will be sure to pass along the feedback on the mattress. Look forward to having you back next season!!!! Thank you so much for your feedback on this condo! We are so glad to hear you had a good stay....minus the cooler weather week that came through! We are surprised to hear that the couch was not comfortable as it is a brand new set that the owners just put in! We do understand that everyone's preferences in comfort do vary but we are sorry if it was not a good fit for you. Thank you so much for choosing to stay with us in this premier condo at the Trillium and we hope to have you back for another visit!! The condo was beautiful! Loved the large sliding glass door to balcony that let us experience the ocean even when we weren’t on the beach below us! So glad you enjoyed! There is nothing better than relaxing on the beach! :-) Thank you for staying with us and we hope to have you back for another visit in the future! Awesome!!!! :-) We hope to have you back again soon! This was our second time staying in the Trillium and we love the building and we love the location. It is close to everything and anything you would want to do and walk out the door and there is the beach. In June when we stayed in 5A everything was absolutely perfect. We just got home from a weeks stay into a and the place was nice also but I will not make a return back to that condo because of the living room furniture. It was very uncomfortable and I thought dirty, and just a couch and a love seat and no chairs. Other than that, it was very nice and we will definitely go back to the building trillium. The beds were very very comfortable and the kitchen was all updated and the bathrooms are updated. I am hoping they change the furniture into way because that is the one that I prefer. We are looking to go down for the whole month of January but will not considered to2A unless they put in different furniture. Thank you so much for this post and your feedback. We have some great news for you.....the owners of Trillium 2A already have time set aside in October to do exactly what you are stating here, they will be replacing all of the living room furniture! :-) So, keep 2A on the TOP of your list because it is going to look even better than it currently does and will be VERY comfortable for your stay!!! Thank you for choosing to stay with us and we look forward to your next visit to The Trillium on Madeira Beach! The unit is clean and updated, the building is small and well-maintained and Resort Realty offers outstanding customer service! Our vacation was amazing. We've been coming for years, and we can't wait until our next trip back! All was as described. It was very clean and had everything we needed in the kitchen other than scissors. Plenty of living area which we liked with six of us. Beautiful beach and nice pool. Loved that it is not so many condos. We enjoyed the Coffee & Creamery across the street (not Candy Kitchen) with a cool place to sit down and have ice cream. Went to John's Pass to shop with boys. They enjoyed the Alligator experience there. So awesome to hear!! :-) We are so pleased you enjoyed this premier condo as well as the location of the Trillium! With only 15 units in the building it really does provide for a more "relaxed" atmosphere and we are so glad you liked that aspect of things!! We are also glad to hear you enjoyed visiting the local attractions and restaurants/coffee shops in the area, Madeira Beach really does have a little bit of everything!! :-) Thank you for staying with us and hope to see you back for some more fun in the sun with the grandchildren!!! We have thoroughly enjoyed this condo for several years. Our only complaint is that for the last 2 years we have had problems with the TV. After a wonderful day at the beach we wanted to be able to relax and watch programs. Besides this inconvenience it was truly great. Thank you for your post and we are so glad to hear that you enjoy your time here....minus the troubles that the TV may cause. The system can be a bit tricky and 1 wrong press of a button can throw things off, we definitely can understand that frustration! Should you have any troubles with the TV please just give us a call at our office and we would be more than happy to help get everything back on track and the relaxation back on! :-) Outside of this, we are so glad you are happy at the Trillium property and we look forward to your next visit! I felt very welcomed into Trillium, felt like home. The condo was great. I loved how it was beach front with a wonderful balcony view. Just wish they rented it out by days not by weeks, would of loved to stay a few more days. We are so glad you were comfortable in this premier condo at the Trillium on Madeira Beach, the views here really are awesome! :-) I see that the condo that you stayed in was reserved the week before and after your stay; but if we can accommodate with additional nights we are always more than happy to! :-) Thank you so much for being our guest and we look forward to another visit! Couldn't be better. Spacious, clean, secure, dependable management, convenient location and of course a spectacular view. So glad to hear you enjoyed this premier condo at the Trillium! We agree, those views are just amazing!!!! :-) Thank you for choosing to stay with us and we hope to have you back on Madeira Beach again soon! Another Great Stay in Trilliium 2A ! This condo is so light and open, and the view to the Gulf can't be beat. The kitchen is large and well-equipped, and the bathrooms are modern and convenient. The master bedroom has a very comfy king bed and plenty of drawer and closet space, and there are two twin beds in the guest room. We love the open floor plan. We are looking forward to our visit again next year. So glad to hear you enjoyed this premier condo at the Trillium!! 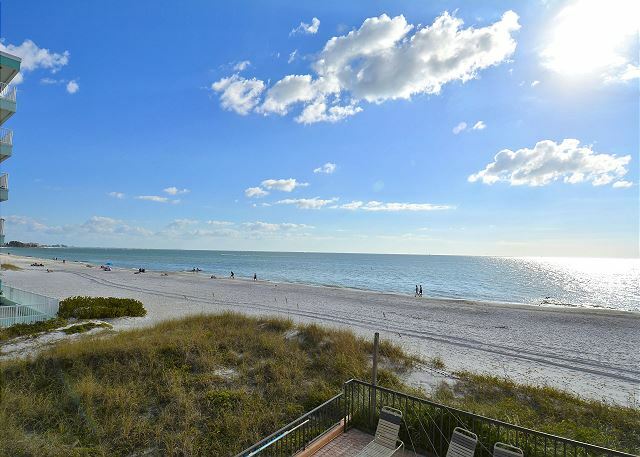 That stretch of beach on Madeira Beach is just lovely and we are glad you took advantage of that!! :-) Looking forward to your return visit next season!! Beach and water right outside your door, plenty of restaurants, entertainment, yet quiet...what more could you ask for!!! Thanks for the post!! We are so glad you enjoy your time at the Trillium, the beach location is just awesome!!! :-) Thank you for choosing to stay with us and we look forward to seeing you back next season! become quite uncomfortable over a period of time. Living room furniture is also a little low. Thank you for your post! 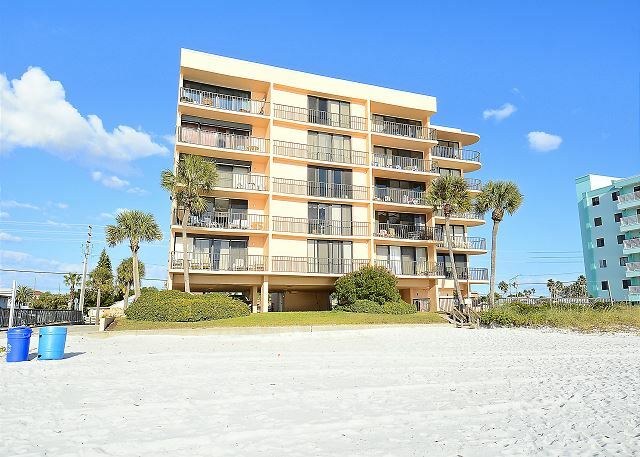 We are so glad you enjoyed your time in this premier condo at the Trillium on Madeira Beach, the central location is just awesome!! :-) We do apologize if the bed was not a good fit for you and we have passed that over to the owner on your behalf so they could make any kind of adjustments, thank you for that! We do understand that everyone's personal preferences in that area may differ but please know that the owners are going to address the matter. In regards to the furniture you are correct, this style is a bit lower and we are sorry again if that was not a good fit for you. Thank you for choosing to stay with us and we look forward to your next Madeira Beach vacation!! Stayed for 5 weeks this past November and December.Our second visit to this condo. I love the location, the layout of the unit- bedrooms at back and away from living area and the new bathrooms. Large balcony. Nice and new washer and dryer. Thank you so much for the post! We are so glad you enjoy your time at the Trillium, it really is a great spot and this premier condo there is fantastic!! :-) Thank you for being our guest and we look forward to having you back on Madeira Beach soon!! Condo was very nice and in a great location. We had a great stay. Even though we had some cloudy days, the accommodations were great as well as the easy access to the beach. Great week of enjoying the view and water. Great condo. Great location. Our family had and awesome week staying right on the beach. Very clean and modern condo as described in the listing. Only downside was there were repeated issues with the air conditioning and we had to call the property management company multiple times. They were great, though. Got to the point where the AC service company had to order parts that would not be in until after our stay was over. So we were offered another condo to move into. It pained us because we absolutely LOVED this unit. We will definitely look to stay here next year again. And thank you to resort rentals for going above and beyond in helping us deal with the AC issues. Brand new bathrooms, large living space and large balcony really make this a great unit. Beautiful beach.Pool was perfect temperature.Would rent again. 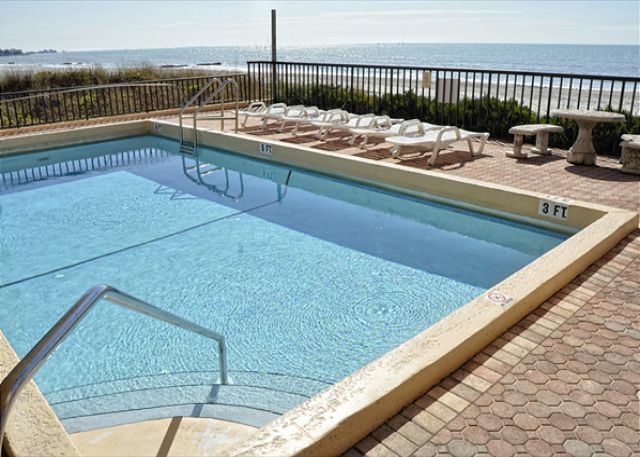 We love staying at The Trillium in Madeira Beach. This was our second year, and we will be back next year. The unit is always clean and well-maintained, and the decor is very up to date. Our view of the Gulf can't be beat! If we have any minor issues, they are handled promptly and pleasantly by Resort Rentals. This property was everything we've been looking for. Can't say enough, very clean, open concept (love), close to beach, quiet, in the middle of all we needed, great restaurants, small pool but great for sunning or reading. Our unit was updated very nicely with stainless steel appliances. We wanted for nothing. Planning on a return visit next year...loved, loved RESORT RENTALS, they truly went above and beyond to make our vacation one of the BEST we've had. I think we've made some new friends at Resort Rentals and hope to continue it for years to come. Thanks for all you did for us, greatly appreciated! We had 3 condos at the Trillium for the week of Thanksgiving. We have done this the last few years. This is the perfect place for all of us in our family. The beach is yards away as well as the pool, which all enjoyed young and old. The condos are spacious and very nice, plenty of room for 4 adults and 2 children. Some went to Busch Gardens, which was 45 minutes away, some played golf, while others went fishing. A few rented jet skis. But mostly we enjoyed the beach and the beautiful weather and cooked but also lunched at some of the many restaurants close by. I would highly recommend this place for families or just two to four people at a time. It was wonderful. The view of the ocean is beautiful. Very close to the areas of interest we came to enjoy. The restaurants we found for seafood were awesome. We would and have recommended this rental to several people. You couldn't have a better location on the beach. Thank you for your review. I am pleased to hear you enjoyed the condo but do apologize for the slow WiFi. I wanted to let you know that the service has now been upgraded and the speed has been increased! Thanks again for your review and we hope to see you again next year. the unit was very clean and everything was in working order. Very Nice Condo and great location - it was awesome. The only negative is very slow internet and bad TV services - no HD. Unit 2A is great, especially for a family of 4. The condo is spacious, was very clean upon our arrival, and nicely updated and decorated. There is a full size washer and dryer in the room, which we loved, and both worked well. The view from the balcony is wonderful. Having 2 small children, we also enjoyed the fact that the beach was just a few steps from the condo. You are able to hear street traffic from both bedrooms and the AC unit is in the 2nd bedroom, so when it kicks on it is very loud. We would recommend bringing a sound machine or radio, but other than that we loved this unit and are likely to return. Great Condo with a great location. Remodeled nicely inside and within minutes to several good restaurants and shops. Enjoyed being in the pool and only a few feet from the beach as well. Will definitely consider this building and unit for upcoming vacations. super it couldn't have been any better accomaditions were first class. Awesome! We have stayed in many condos in the area and this one is by far the best! Very clean and updated. The view was spectacular! Great location, great view, great condo. Condo was everything we expected. Remodeled, clean, and comfortable. We were so glad that new chairs were added to pool area. And a new lock was put on the outside door.. We have a suggestion to make it easier for guest. Could there be a combination to get into building and another code to get into room? Your office is in an inconvenient location, especially returning the keys. We have an early flight home so have to return keys the night before we leave. We can't leave the room on our last night. Thank you for your review. Unfortunately we cannot streamline the check in and out procedure anymore. At this point, the association will not allow lockboxes on the property. There are several companies and/or owners that rent there, so you can imagine how many boxes there would be. This is why each company has to have the keys held at their respective offices. Thanks again for your review and we hope to see you again next year. Great place and great time. Loved the condo, been coming down every year for 25 years. Will definitely consider for next year. 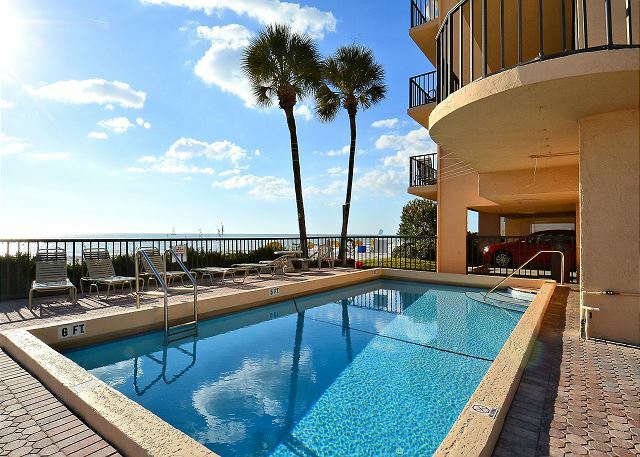 This is a beautiful condo with a gorgeous view of the Gulf and the western sunsets. The unit has been very nicely updated,specially kitchen and baths. There were many kitchen utensils, pans, glasses, etc., and more than enough linens. There were also many beach chairs and toys, and even a small library of books. It was lovely to have the W/D, but the dryer was falling apart. The only other downside is the lack of a grill on the property. It would be wonderful if we could at least use a hibachi on the balcony... Would love the Condo Board to rethink those rules! Thanks so much for your review! I wanted to let you know that as a direct result of your comments, the owner has purchased a new dryer that will be delivered in a week! Thanks again and we hope to see you again next year! Very nice with all the amenities. TV could be improved - problems with remote. Very spacious inside-perfect for the 6 of us. Great time spent with family. Very relaxing quiet vacation. The view and scenery was fantastic. The other guest and visitors at the complex were nice and courteous. I wish they had improved cable tv coverage and internet service. We had to wait two days to get our units internet hooked up correctly. Overall a good vacation experience. Thanks for your review. I do apologize for the issue with the internet service. Typically we can have most problems resolved very quickly but sometimes we do have to bring in the experts to repair and it takes a bit longer. I am pleased that the everything else went well. Hope to see you again next year. Very nice. Very spacious and nicely furnished. We arrived to realize we had no air conditioning. Figured out that the batteries were missing from the thermostat. Staff brought batteries immediatley. Had issues with refrigerator the entire week. Believe the staff did all that they could do to help. Condo is directly on the beach with awesome views. If you like listening to the ocean, 2A is situated over the pool. Noisy pool guests are a challenge. Kitchen and LR are updated, granite and stainless appliances. Master is large, but bring a fan to drowned out traffic noise. Bathrooms are old, like 70's old. Creepy hallway and stairwell. ****UPDATE**** Both bathrooms have been remodeled and there is new carpet in the bedrooms!! Thanks again for your review. it was about our 10th time at this location, this building is very well located, the view from the balcony is fabulous. The unit, was very clean, but there was some problems with so many tiny little flies, on the kitchen counter and the bathrooms counters as well, while we were there, the master toilet was not working properly, we were flushing but it wasn't working. A wonderful vacation enhanced by the location of this excellent apartment which is right on the beach . Gorgeous sunsets can be viewed from the balcony .We enjoyed watching the dolphins every day . We were pleased that the kitchen equipment had been increased . The blinds could be improved . Thank you Resort Rentals (especially Janet) for looking after us so well ! What a great way to spend a week. The property was very spacious and updated, clean etc. The location was very good. This is a much better way to stay then at a hotel. We will be back. Over all we enjoyed our stay at the Trillium. Great location and very clean. Beautiful kitchen and layout. Loved the pool and the view of the Ocean. Our only 2 issues were we didn't have a TV in the Masterbedroom. It would have been nice to be able to relax and watch TV from bed instead of going to the livingroom each night. There also wasn't enough cooking utensils. But all in all I would stay at the Trillium again but will make sure a TV would be in the masterbedroom. Great vacation rental! This condo has an updated kitchen/living room, however, the bathrooms and bedrooms needs to be updated as well. We a little disappointed that you couldn't see the sunsets from the balcony, but we just walked on the beach at sunset. Entire building only having 15 units is great, pool never crowded. And very quiet! Would have loved chair/umbrella rentals available on beach. A guy is tring to make that happen, but locals are complaining!! Loved the condo! It's was very spacious and comfortable. The balcony was nice because it rained a good bit, and we were able to enjoy the gulf view most of the week. The other families there that week had been return for year for annual vacations. The only down side was the parking spots were VERY small! We drove a Chevy & it was extremely tight squeeze! Also there is one older lady who is a full time resident at the condo...she was very nosy & bossy on our first night. We let her know really quickly, she needed to mind her own business..and she hushed up. But overall, very nice time. Our opinion of paradise once more.We shall return ! It is always a pleasure to enter a bright , well furnished and clean apartment. Convenient for the beach and pool, local shops and restaurants. We loved that it was quiet. Our condominium was very clean and spacious. The only thing was the bathrooms needed to be upgraded and the master bedroom. That wasn't a big deal however. We had a great time,the bathrooms need to be updated. We had a great time loved the condo and the location. Very family friendly kids had a great time watching the dolphins at play everyday! The only reason I did not give all 5 stars is we wished the kitchen would have been a little better equipped. Thanks so much for the great review! Sorry we fell a bit short when it came to the kitchen equipment. In the future, if you are missing required items please do not hesitate to give us a call. We have most of the basic items here at our office and have no problem revisiting a property to make things right. I am glad that you had such a good time. Thanks again! A beach paradise forever remembered. The weather can always destroy a holday but on this occasion played its part with wall to wall sunshine.The Condo was beautiful, so well appointed , and looked out over a lovely beach to the sparkling Gulf of Mexico. Enjoyed my three week stay at the Trillium 2A. For some reason, the beach was full of sea weeds during the first two weeks but it all cleared up during the last week in fact, cleared up during the hurricane Issac. The apartment is right on the beach facing the ocean and that was the best part. The unit is fully equipped with extra large size washer and dryer, plenty of cooking utencils and dishware and plenty of towels. The living room and the kitchen appear to be recently updated with granite counter tops and new dishwasher, microwave and refrig. Also available are four beach chairs and a small beach umbrella. A post on the a larger umbrella was broken. The pool is nice and well maintained. The town of Madeira beach is rather small with little choice of restaurants etc. Although Target, Macy, etc are only a couple of miles away over the causeway. I read a lot of Johns Landing. It is really a strip mall with a few gift stores and restaurants. St. Pete' beach and Clearwater beaches are more developed and a nicer with a little bit more activities. St. Petes' beach is only a few minutes from Trillium. Clearwater is about a half hour. Prices in Win Dixie are higher than Publix. Publix is the place to shop for groceries only about five minutes from Trillium just over the causeway. The bathrooms in the unit are dated but functioned very well. The balcony doors are very strong and seal well. The AC, hot water etc. worked very well. As mentioned by other renters, the Resort Rentals are very quick to respond to anything that needs to be done. The only complain I have is to have to drop of the keys to their office. I wish I could leave them in the unit for the house cleaning to take care of it. Great location with an awesome view. Pool area could use some attention and some improvements. Trash cans by the pool never was emptied and the pool cleaning service needs to leave a sign to let everyone know the pool water was shocked!!! Overall a great place to spend your vacation. Location is amazing. Kitchen and living area is perfect - all new appliances. Master bath needs updating, but is sufficient. For an older building they have done a nice job maintaining. Would go back, but maybe try to get a B or C appt. We were in 2A and you miss the sunset from the balcony every night. Everything else was great!!! Thanks so much for your great review! Glad you enjoyed the condo and your stay. Look forward to hosting your next vacation! Absolutely beautiful condo, great location and the view was amazing! We will definitely return. We been at the Thrillium several times, in different unit and we enjoy it every time. This unit was recently updated except for the bathrooms, but still we enjoyed it and it was lovely. You will love the condo, the site, the breathtaking view to the ocean and you will enjoy watching the dolphins from the balcony. Great condo in excellent condition. Very convenient location. We had a wonderful time in Madiera Beach. The condo was beautiful, the view was amazing and the convience of being steps away from the beach was wonderful! The location was great, with convenience stores and John's Pass withing walking distance. All in all, we had a great trip from beginning to end. Can't wait to do it again! Vacation met all my expectations from booking to departure. Would definitely consider property managed by Resort Rentals again because of friendly and efficient booking. Trillium 2A provided great location, beautiful views, delicious food (especially at Lisa' Cafe). Blinds need repair or replaced. Thank you for your input and we will send our maintenance staff out! Perfect condo, spacious, right on the beach.